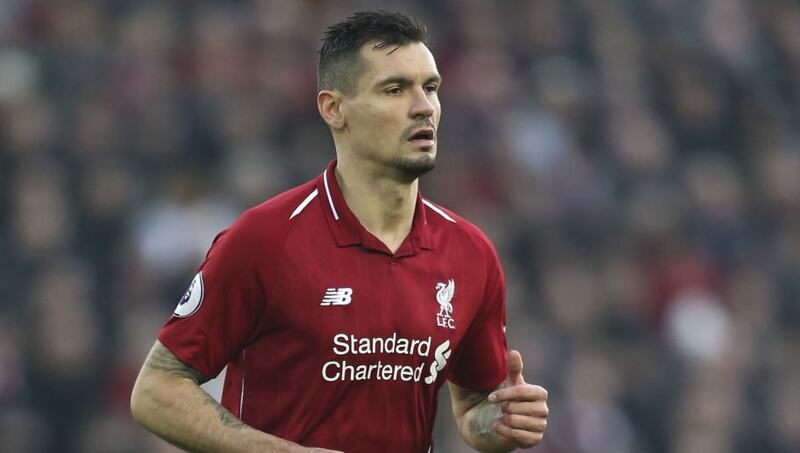 ​Liverpool manager Jurgen Klopp has confirmed that centre back Dejan Lovren will miss Sunday's crucial Premier League clash with Manchester United through injury after failing to recover from an ongoing hamstring problem in time. Lovren had been racing to be fit for the midweek Champions League clash with Bayern Munich, but even a few extra days hasn't been enough for the Croatian to become available. Fellow centre back Joe Gomez also remains sidelined. On a positive note, however, Virgil van Dijk is eligible to return after serving a European suspension and missing the Bayern game. He will likely be partnered by Joel Matip, with Fabinho relieved from emergency centre-back duty. "Dejan is not in, Joe is not in, but I think pretty much all the rest are in training at least," Klopp said as he addressed the media, via LiverpoolFC.com, at his weekly press conference. Longer term absentees Alex Oxlade-Chamberlain and Rhian Brewster are also training more and more as they continue their respective journeys back to full fitness. "Rhian Brewster is still only in little parts [of training], Ox in bigger parts but not ready to play. The rest have trained and will train with us, but there is still a little bit of time," Klopp said. Liverpool go into the game at Old Trafford after a 0-0 draw against Bayern in midweek. The Red won their last Premier League outing after suffering two consecutive draws and are well aware that even just a point against a resurgent United side will put them back top of the table ahead of reigning champions Manchester City. Defeat would leave them second, albeit still level on points, having used up their game in hand.